YoYoExpert Blog & Yo-Yo News – LOOP 900 – WE CHALLENGE YOU! LOOP 900 – WE CHALLENGE YOU! YoYoExpert June 24, 2010 Comments Off on LOOP 900 – WE CHALLENGE YOU! Double A also known as 2A is arguably the style of play that takes more practice then any division! Few ever even earn the “rank” of being able to do Two Handed Loops! Well we want to see that change today and we challenge you! 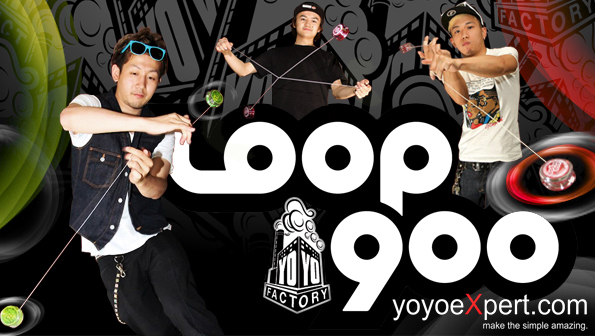 Step 1: Purchase a pair of Loop 900s from YoYoExpert.com (Keep your order number since you will need this). Step 2: LEARN. Practice looping – first with one hand then the other. Then put it together until you can do Two Handed Loops! Practice, practice, practice until you can do 20 with each hand AT THE SAME TIME! (That Means 20 Two Handed Loops – each hand doing 20 repetitions either at the same time or alternating. These must be controlled and caught in the video). Step 3: Film yourself and post on YouTube with the official YoYoExpert Loop 900 challenge title. Challenge opens for submissions next week and submissions can continue to be submitted until August 31st. That gives you TWO MONTHS! -A Free $15 GIFT CERTIFICATE to use at YoYoExpert.com! -Your picture and video is linked from our “official” Loop 900 Challenge page to show the world you are one of the few elite who can now do “Double A”. Are you ready to take the challenge? !